1. Peel and cut the selected fruit into bite sized pieces. 2. Mix the first four dry ingredients together. 3. Add milk to make a semi thick batter. 4. 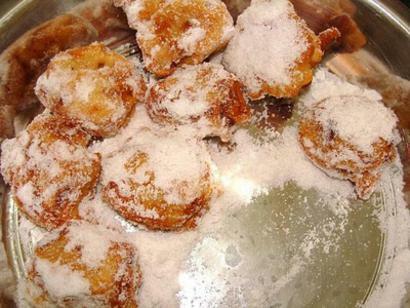 Dip fruit pieces into the batter and deep fry in hot (but not smoking) ghee. 5. Drain on clean, absorbent kitchen towel and allow to cool a bit. Then roll in powdered sugar.